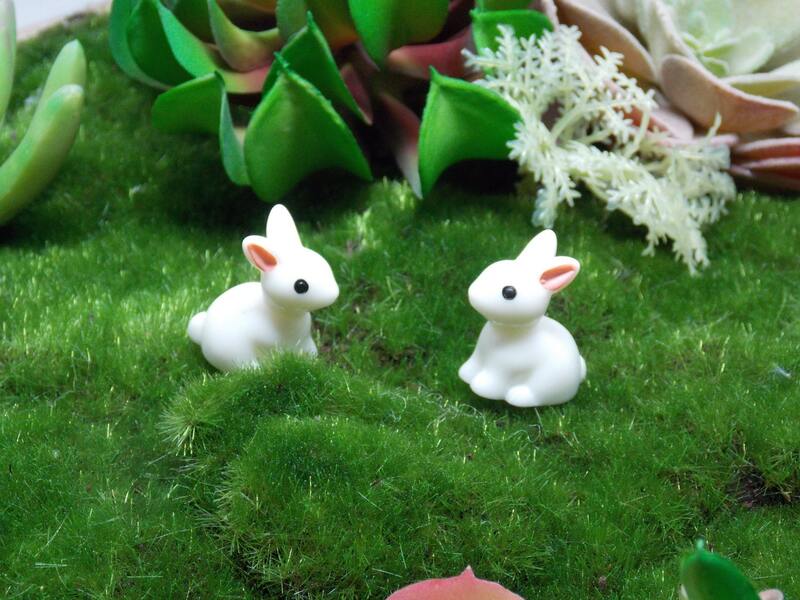 Add a set pf these adorable miniature bunnies to your fairy garden! Please note that the colors may vary based on clay/material variations and the color settings on your monitor. Most items are covered with a UV protectant coating, but some fading may occur due to exposure to sunlight. If you have any questions, please message me for refer to my shop policies. A: Depending on where you live. I ship normally using First Class mail which is 3-5 business days in the continental United States. I do not have a time estimate for international orders. Q: Do I have to pay import/customs taxes? A: Yes, In order to receive your item, you must pay your import/customs fees for your country. I NOR ETSY ARE RESPONSIBLE FOR PAYING FOR THIS. The taxes are NOT reflected in my shipping prices. Any order that comes back to me without customs fees paid for and you wish to return it, is subject to a 5% restocking fee and shipping fees subtracted. Q: What if my item breaks during shipping? A: If an item is damaged during shipping, photo proof must be sent within 3 days after delivery and I can work out a plan as to how to get you a new product. Q: If I don’t like a product, then what? A: If you are not satisfied with your item(s), I will be glad to offer you a refund within the first 14 days… The item must arrive undamaged and in resealable condition within 30 days, and buyer is responsible for return shipping. I will refund you once I receive the product back. If you have any other questions, please contact me and I will be glad to help you! Delivery was quick and the items are perfect, thank you so much!!! Absolutely adorable, for sure my fairy garden is coming together nicely. This item was shipped promptly and is exactly as described.